Harry "Frank" Carney, 72, of Bedford died at 8:11 AM, Thursday, March 21, 2019 at the VA Hospital in Blair County. Mr. Carney was born in Roaring Spring on October 18, 1946, son of the late Charles W. and Jennie C. (Feathers) Carney. Harry is survived by Son- Charles "CW" Carney and fiancé Jessica Finochio, Altoona; Grandson- Isaiah L. Carney; Brother- Randy L. Carney, Tarpon Springs, FL; Sister- Patricia Sarver, Landsdale, PA; Sister- Sherry Sloan, Pottstown, PA. He is preceded in death by Sister- Rita Unger. He worked in Maintenance at the Old Primary School in Bedford and for 18 years was employed as a Delivery Driver for Bedford Beverage. Frank was a SP5 in the U.S. Army and served two tours in the Vietnam War, he was a very proud Veteran. 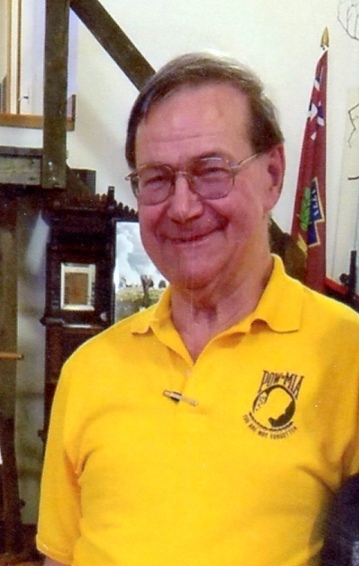 Frank was an active member of the Bedford County Vietnam Veteran's Association. He was a life member of the Bedford American Legion Post 113 and the Bedford VFW. Friends will be received on Sunday, March 24, 2019 from 2-5 PM at Louis Geisel Funeral Home, Bedford. A funeral service will be held at Louis Geisel Funeral Home, Bedford on Monday, March 25, 2019 at 11:00 AM.